Attending LabelExpo Europe? Be on the lookout for these sample pouches featuring acpo’s high oxygen barrier film. 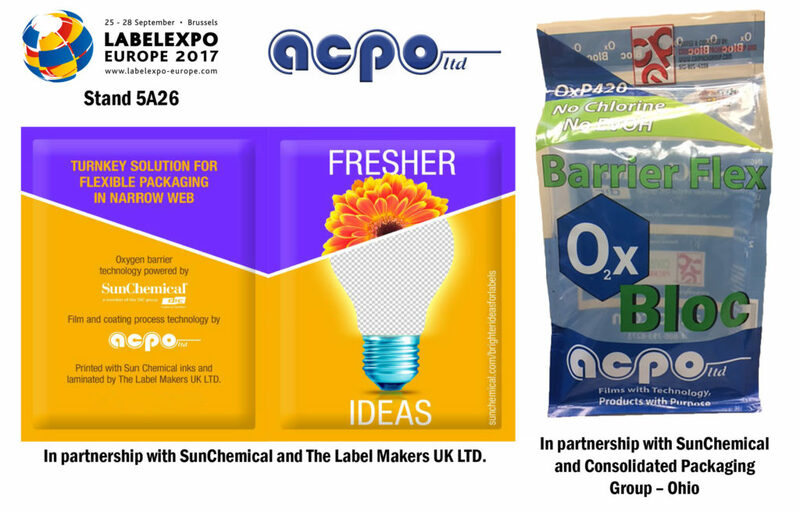 Produced in partnership with SunChemical, The Label Makers Limited and Consolidated Packaging Group- Ohio. This entry was posted in Announcement, News on September 21, 2017 by Tammy Calhoun.